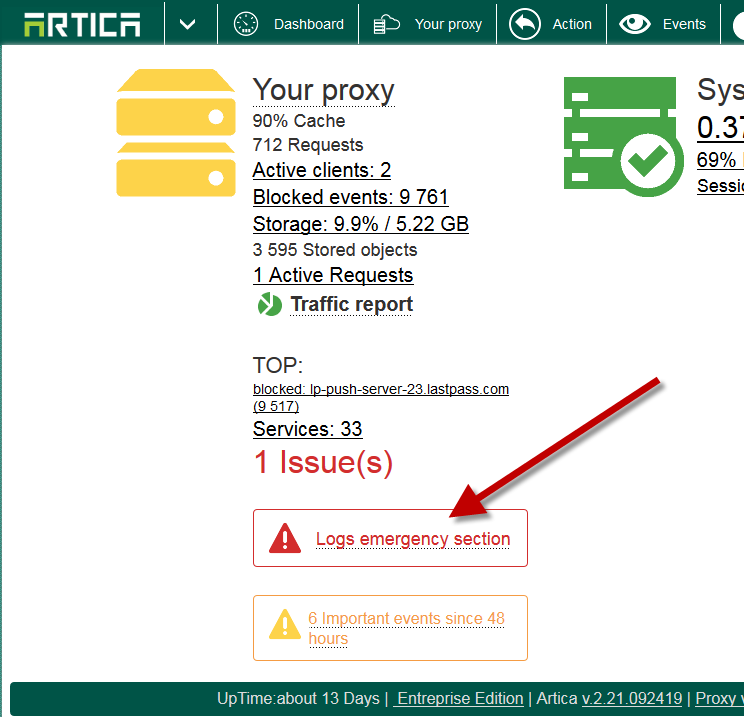 If the partition log is full or if the Proxy claims with it’s logger daemon, Artica turn the proxy to system to log emergency. The Log emergency force the proxy to continue processing access to internet without write any log. When the proxy is turned to log emergency, the dashboard display the alert. The button “Browse /var/log” allows you to browse the /var/log directory in order to analyze it. 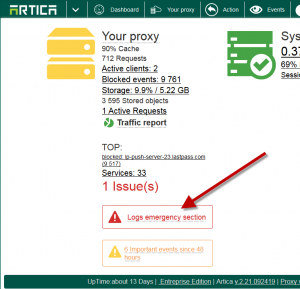 The Disable Logs Emergency turn the proxy into normal mode. The Clean logs Directory remove all unecessaries files and try to clean the log directory in order to make space left. ← SSL connections are very slow. Why?